After a whirlwind 2014/40th Anniversary Season, Carlisle Events is ready to go in 2015! Here&apos;s a breakdown of what to expect at each show this Car Show season at the fairgrounds. SPRING CARLISLE (APR 22-26) - The fun starts April 22 with Spring Carlisle and includes a massive swap meet and car corral, a two-day auction offering backed by Carlisle Auctions, the Hot Rodders of Tomorrow and in most cases, is the first chance for enthusiasts to get outdoors and start looking for the pieces and parts needed to further or complete an at home restoration project. CARLISLE IMPORT & KIT NATIONALS (MAY 15-16) - Specialty show season kicks off in May with the Carlisle Import & Kit Nationals. This show hosts cars from around the world, all parked by country of origin. For 2015, Asian cars are the feature and the Passport Program returns too, allowing guests to earn prizes by walking the grounds and seeing all the cars. FORD NATIONALS (JUNE 5-7) - Carlisle’s Summer of Muscle follows as the Ford Nationals, GM Nationals and Chrysler Nationals honor some of the best muscle cars of all time. In addition, a nice array of tail fins and chrome are showcased too. For Ford weekend, the show celebrates its 20th anniversary and celebrates the GT, Thunderbird and Merkur. The Ford Parade will again cruise through Carlisle on Saturday. GM NATIONALS (JUNE 26-28) - The Summer of Muscle continues with GM Nationals. GM hosts a nice array of 5th Generation Camaros, the IROC Camaro, Fins of the ‘50s as well as a cool ‘80s music to compliment the IROC reunion. Nitrofest will also be happening again, formerly Cacklefest, to get guest&apos;s engines revving. CHRYSLER NATIONALS (JULY 10-12) - Chrysler fans coming to Carlisle in July can honor the cars and individuals that have helped make history with the Mopar Hall of Fame. Event weekend also hosts Collector Car Appreciation Day, a Forward Look reunion, massive swap meet and more. In fact, the Carlisle Chrysler Nationals are such a draw that 2014 saw record showfield totals and is THE biggest all-Mopar themed event in the country. CARLISLE PERFORMANCE & STYLE (JULY 17-19) - Carlisle Performance & Style continues to honor the hottest, newest and freshest trends in the hobby and will do so with an all-new date, July 17-19. Performance & Style welcomes autocross and drifting competitions as well as special displays in many buildings. CARLISLE TRUCK NATIONALS (AUG 7-9) - Carlisle Truck Nationals weekend is where trucks, Jeeps, SUVs, Vans and more are showcased alongside Monster Trucks and Mini Trucks too. A car-crushing dinosaur will visit Truck Nationals again this year as well as the fastest monster truck on record. Kid&apos;s activities include the Phantom Fun Zone and a scavenger hunt. CORVETTES AT CARLISLE (AUG 28-30) - Carlisle’s specialty show season concludes with Corvettes at Carlisle. The world’s largest all Corvette show focuses in the 1965 Corvette in 2015 with special 50th Anniversary display. 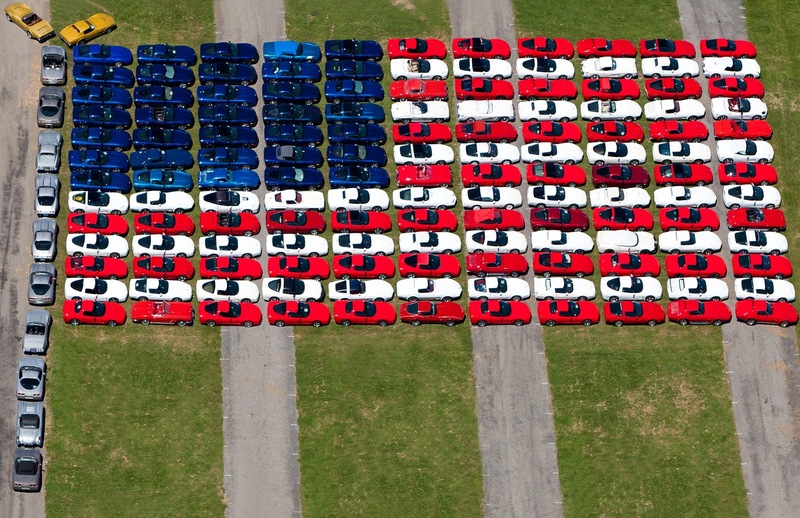 In addition, the always popular American Flag Corvette display is back and to contribute the patriotic theme, 2015’s Chip’s Choice display is a Salute to Service. GM Engineers come back to Carlisle along with other great seminars geared directly at Corvette lovers and owners. The Corvette Parade will occur in downtown Carlisle again on Saturday. FALL CARLISLE (SEPT 30-OCT 4) - Carlisle Events ends its season much like it started, with a Fall swap meet, car corral and auction event. Fall Carlisle marks the end of the Carlisle based schedule and provides Carlisle Auctions another forum to do what they do best, connect car enthusiasts with their next classic. What are you most excited to see this Car Show season? 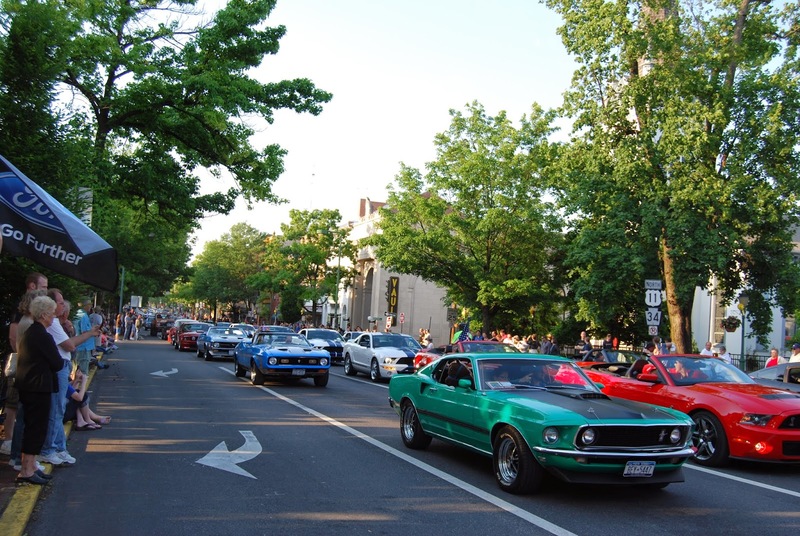 Keep in mind, the Cumberland Valley region is a popular draw for guests as the scenic back country roads and covered bridges make for great afternoon car cruise options for those looking to take a break from the show itself. Find even more info and auto-themed things to do here.